“I’m sorry you’re being way too polite,” Griggs responded. “People are thinking that Channel Seven has chosen not to show pictures of athletes or not to show the flag-bearer, Kurt Fearnley or other flagbearers. We can only show the pictures that are provided by the actual host broadcasters. "There’s no athletes in here. I’ve never seen the stadium so empty," she said. Zempilas also took aim at some of the speeches during proceedings. "To be brutally honest, most of the athletes left during the ceremony. 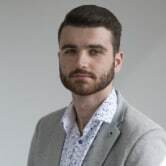 The speeches, look we understand the dignitaries need to get their messages out there, including the Birmingham presentation," Zempilas said. "They were way too long tonight. Way too long. Dare I say a little self indulgent." GOLDOC chairman Peter Beattie sent out a series of tweets, both apologising for the error and echoed criticism of the speeches during the ceremony. The first tweet was then followed up by a jab at the speeches given by several dignitaries, including his own. Beattie was then quick to apologise for his remarks. GOLDOC has admitted to being at fault in a statement today, acknowledging that its decisions did not provide the opportunity for the television audiences to share the moment. It said it needed to get the athletes on the ground earlier to accommodate the athletes leaving the event early. “It was the intention of GOLDOC to celebrate the accomplishments of the athletes and provide them with a great experience," the statement read. The decision was a creative one by GOLDOC, not the faut of the host broadcaster. Johanna Griggs and Basil Zempilas were left underwhelmed by the Closing Ceremony. Seven has slammed the host broadcaster and organising committee of the Commonwealth Games following an issue with the broadcast of its closing ceremony. Seven thought it would be able to broadcast the athletes entering Gold Coast's Carrara Stadium as per usual protocol, however, the Gold Coast 2018 Commonwealth Games Corporation (GOLDOC) had other ideas. GOLDOC made the decision that the athletes would enter the arena during the pre-show, which is not broadcast. The pre-show meant that it would only be shown on the big screens within the stadium. The Host broadcaster played no part in the pre-show and therefore had no footage to provide. Therefore, Seven was unable to broadcast the athletes entry and instead they were seen to be standing on the outskirts in dark. The ceremony was also criticised for 'self indulgent' speeches by dignitaries. The Closing Ceremony failed to deliver the same ratings as its opening counterpart, drawing in 1.14 million metro viewers compared to the two million-plus who tuned in for the Opening Ceremony. This is by no means uncommon, Closing Ceremony's a usually less spectacular affairs. Seven told AdNews that its ratings were relatively consistent throughout the event. 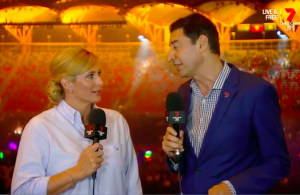 During the broadcast, Seven commentators Johanna Griggs and Basil Zempilas slated the bungled event, with Griggs visibly “furious” by the lack of athletes pouring in to be led by flag bearer Kurt Fearnley. "Look, we understand many people have been disappointed by tonight’s Closing Ceremony. To be perfectly honest Jo, so have we. It hasn’t really lived up to expectations," Zempilas fired away (a full transcript of their comments is in today's West Australian).